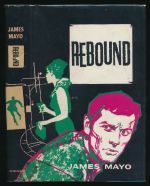 A doctor finds himself a blackmail victim when he ignores the poisoning of a bullying husband by a dying woman. A secretary disappears on her first day of work leaving two diamonds stuck under her desk with chewing gum. 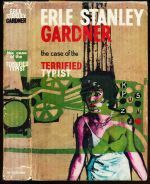 The fifty-first book in the Perry Mason series. Contains 'The big smear' by W. Howard Baker. 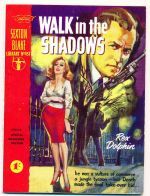 Contains 'Walk in the shadows' by Rex Dolphin. 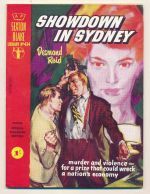 Contains 'Showdown in Sydney' by Desmond Reid. 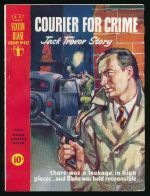 Contains 'Courier for crime' by Jack Trevor Story. 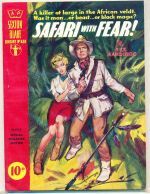 Contains 'Safari with fear' by Rex Hardinge.